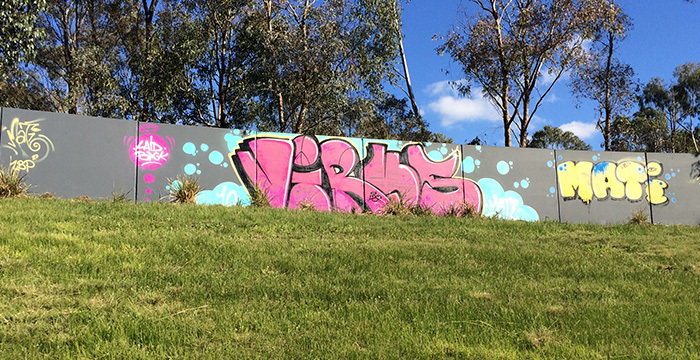 It is challenging to deal with graffiti and the degree of difficulty will depend on what type of surface has been defaced. Of key importance is a quick response time. A rapid removal signals both intolerance to the act and monitoring, which indicates a greater risk for the perpetrator to return to the same location. Porous surfaces such as stone and wood, pose the greatest challenge. We remove graffiti from stone, wood and glass, and any other surface leaving no trace and maintaining the integrity of your property. With the commonly used aerosol paint, the longer it seeps in, the harder it is to remove. 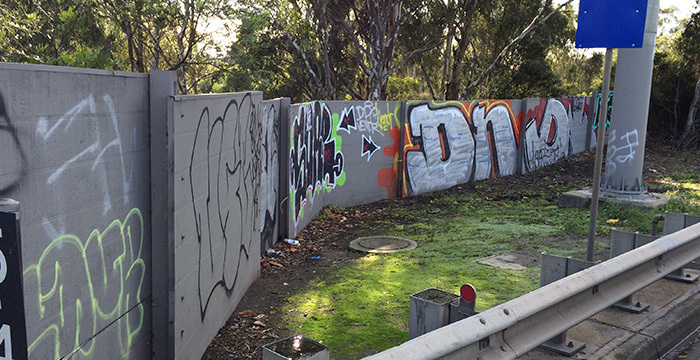 Graffiti Wipe Out’s have a professional team of specialists who bring over 26 years of experience in different types of graffiti removal for all the different substrates. We invite you to talk to us and let us help you professionally remove the graffiti damage to your property. 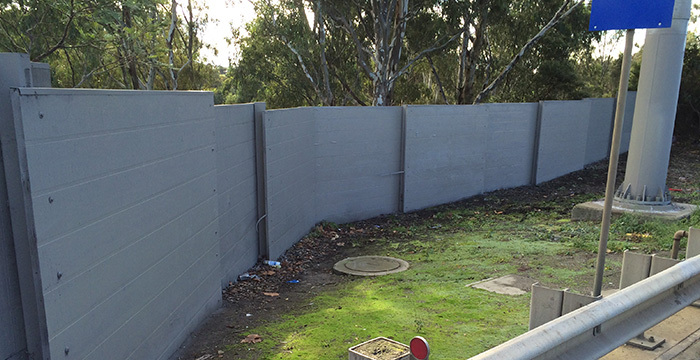 Not only is graffiti costly to remove, it is also time-consuming. In some instances, a simple power wash if done quickly enough after the vandalism incident will remove the graffiti, but in most cases, a more comprehensive approach is necessary. If not done quickly, the paint permeates deep and hardens, making it difficult to remove and increasing the likelihood of permanent staining. There are different types of stone, and the choice of cleaning material to be used will depend on the stone’s properties. Granite has a smooth surface that is less porous and allows less paint to penetrate than brick, marble and limestone. This makes it easier and quicker to remove the graffiti. Fire hardened brick is less porous and will absorb less paint. 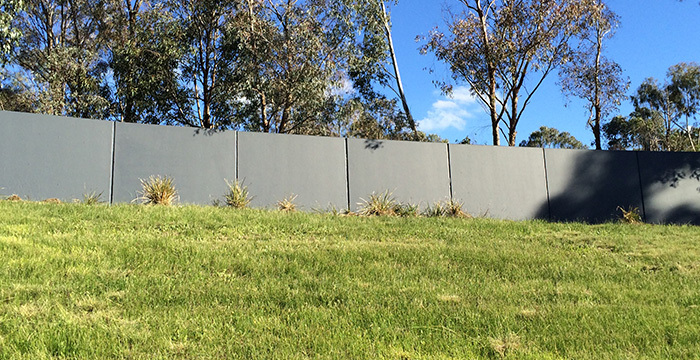 Stone and concrete are rough and therefore more porous, allowing paint to penetrate. If the material used is water solvent, high pressure hot water blasting may be sufficient. If the graffiti is made of non-water soluble material, a gentle solvent is necessary to break down the coating material, while maintaining the integrity of the surface. Some stones are more sensitive to acidic solvents. Most sandstone, limestone and granite is alkali tolerant. Our team determine on a case-by-case basis what material can be used to not only clean, but leave no trace of graffiti paint. To get the best results, we select the right cleaning material that is just right for the type of stone surface. Applying an absorbent material combined with a cleaning agent to seep in and break down the colour pigment, to leave the surface clean without wearing it away. Frequently we use a combination of solvent application and water blasting. Rarely, careful re-staining of stone substrates with a mineral lasur is used to hide traces or shadows. 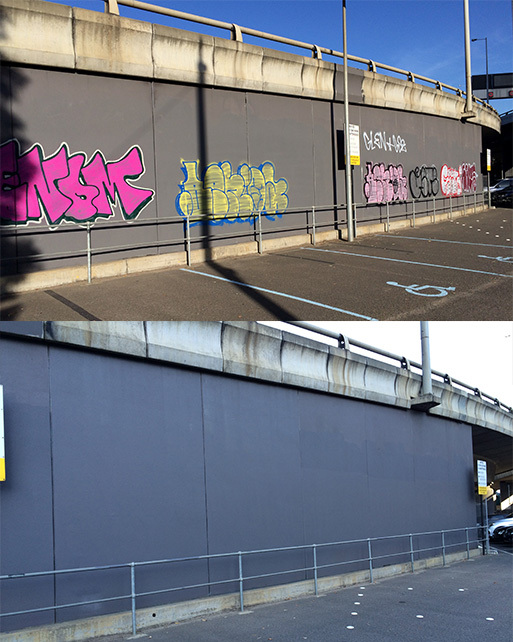 To prevent further damage, we recommend a barrier coating that protects your surface in the event of further graffiti attacks. This will save you on clean-up costs as it most often only involves a quick wipe-down. Whatever your requirement, we are able to assess and respond within 48 hours, ensuring your property remains graffiti free. Please contact us online, or give us a call on 1300 889 831.